DJ Graeme is the Senior DJ here at Groove. Graeme is an amazing DJ. His knowledge of music both local to Boston and international music too is second to none. Graeme can really rock the crowd hard and knows just what to do at a wedding., Graeme DJs all over New England but has a strong knowledge of venues in providence and Newport RI. 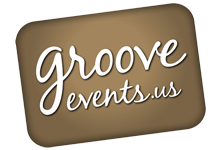 Dj Graeme from Groove Events on Vimeo.